The CMD JB Players School combo, named after Jeff Berlin's great Music School, is a great choice for students. 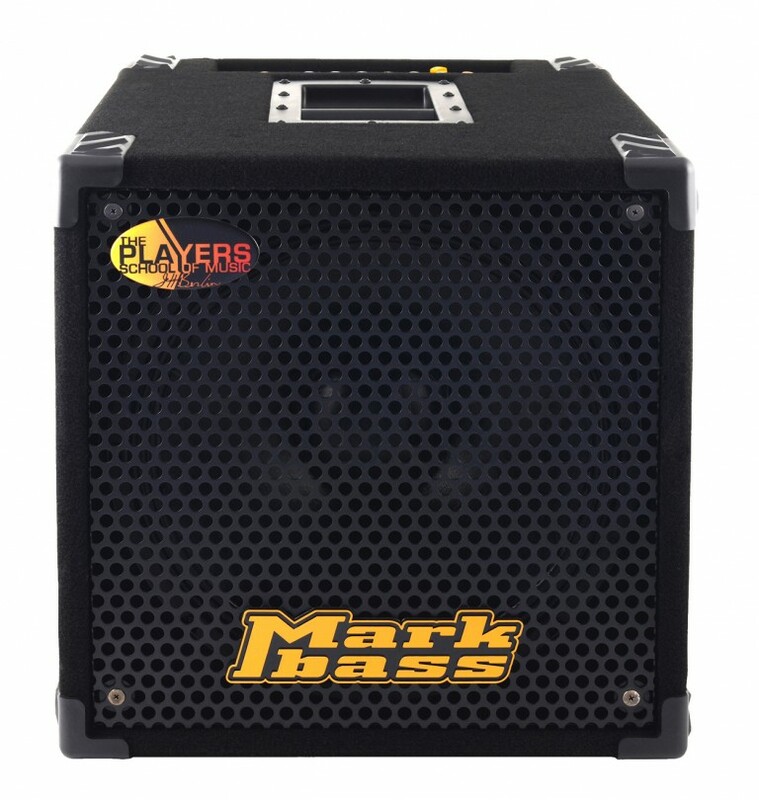 Markbass knows how important it is for students to practice and play with a good professional sound, as well as to have a compact, light and portable combo. This combo is the smart choice to satisfy all of these requests. It's inexpensive, it features the same quality standard and the same quality control tests applied to all Markbass products by their technicians during production. Jeff says, "The CMD JB Players School combo combines Markbass' usual great tone with a high quality amp cabinet that is affordable. I am only insterested in an amp if it has good tone built into it. This amp has it! I can practice with this amp and I can gig with it as well." The CMD JB Players School combo has a highly-portable size, and it weighs only 34.61 lbs. Its sound is professional, and like all Markbass rigs, getting the right sound is as simple as setting the amp flat, plugging in, and turning up the volume. EQ only needs to be used when compensating for unusual venue acoustics. Both student and professional users deserve a great professional sound, and this combo is the choice! Speaker Size: 1 x 15"